Around the turn of the millennium, businesses across the western world started to make a concerted effort to use less paper. People were advised only to print documents when necessary, and to use double sided printing and other tools to conserve resources. There was a general understanding that we were moving towards a paperless world. Here we are, almost 20 years later, and let’s look around us. People are still being advised to only print when they have to, and to conserve paper and ink. And there is still the feeling that we are moving towards a paperless world. In other words, very little has changed. Perhaps the concept of “when we have to” is a little different now, as more people are comfortable viewing, editing and exchanging documents in soft copy today than they used to be. Similarly, there are more customers and suppliers that are happy to work with paperless billing. Overall, the result is that printers are, perhaps, used a little less today than they were in 2000. 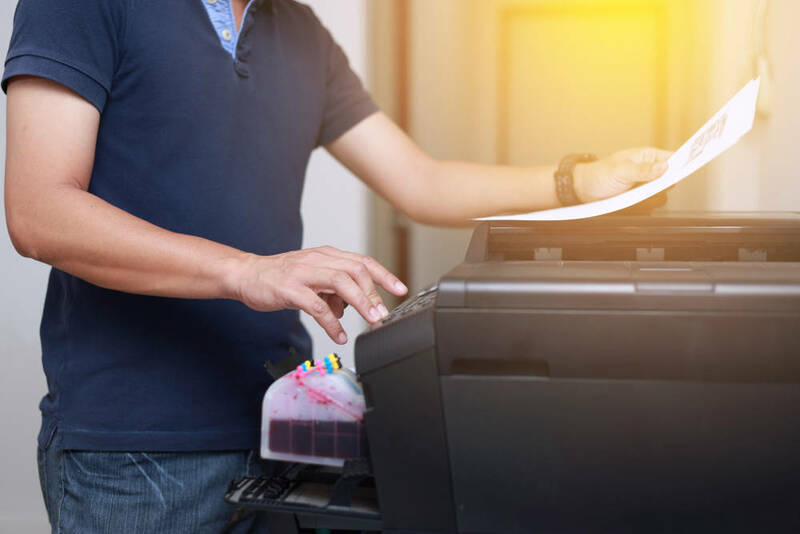 But make no mistake about it, they are still used, and the inconvenience that comes with a breakdown, a paper jam or running out of supplies demonstrates that they still play an important role in keeping a business running smoothly. The point that businesses need to understand is that instead of striving for this apparent Utopia of a paperless world, they should instead turn the phrase around and look to use less paper. Some clients want paper receipts, some letters need to be in writing and some business contracts require an ink signature. For tasks like these, businesses will always need their printers. However, the fact that usage patterns are changing means that there is an argument for re-examining the way they use their printers and the costs they are incurring. If your business prints off large volumes of multi page marketing materials regularly, then that huge, lumbering laser printer in the corner with its monthly service contract might well earn its keep. But if all you’re using it for is to print off occasional letters and invoices, you would be better replacing it with an indoor plant and buying a cheap all in one inkjet. Also consider your consumables. Ink cartridges can end up costing as much as the printer itself, but if you shop around, you can save a fortune. Look at online options such as printerinks.com and see how the prices compare with your usual supplier. Printing has become almost a dirty word, synonymous with environmental destruction and social irresponsibility. However, the truth is that with an energy efficient printer and responsibly resourced consumables, the impact is negligible – anyone who drives to work certainly does far more environmental damage than they could ever achieve printing documents! It is time to look beyond the hype and bring our printing habits into line with our 21st century needs.